Mexico Beyond Mariachi redefines the perception of Mexican culture for the next generation, promoting the values of cultural intelligence, diversity, tolerance, and equity in the arts. Mexico Beyond Mariachi was created to address the needs of communities to know more about traditional Mexican performance culture beyond the stereotypes. 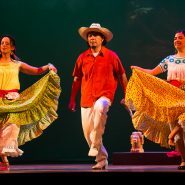 While Mexican influence is all around us, what do people really know about the traditions of Mexico’s music and dance culture? Or the origins of the stories, legends, and myths that are interwoven together? And how do we effectively communicate that knowledge to young audiences? ​Responding to that need, Mexico Beyond Mariachi created an in-depth school performance and arts-in-education program that has reached more than 100,000 students in more than 250 schools and community venues on the East Coast. The company also performs art-in-education residencies, lecture demonstrations, as well as full-scale performance productions. 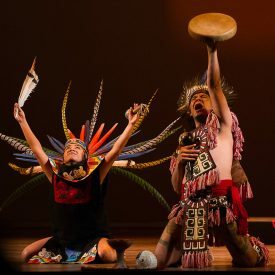 Recent performances include the Pre-Hispanic Art Festival and Day of the Dead Celebration at the Metropolitan Museum of Art in New York, Kean University, Queens Theater in the Park, and seasonal touring throughout the Northeast United States with Green Meadows Farms’ Festival of Cultures program. 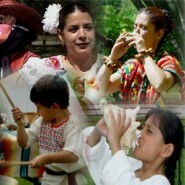 In all my years (30 plus) doing student programing, this is the best program that I have encountered—they really connected with the audience....The Mexico Beyond Mariachi program appeals to the non-Latino community as an introduction to a culture that, like the country of Mexico, is just beyond the horizon of mainstream American culture. Using a judicious mix of Spanish and English, the program creates cross-cultural impact.